Local media reports have said that Morocco is mediating in Gambia’s political crisis offering the defeated President Yahya Jammeh asylum in return for accepting election defeat and stepping down. 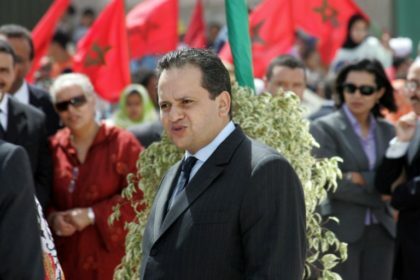 The news was relayed by French speaking news website, Le Desk, which reported that Minister Delegate for Foreign Affairs, Nasser Bourita and Head of Morocco’s Foreign Intelligence Service (DGED), Yassine Mansouri, visited Banjul to conduct a secret mediation mission to convince Jammeh to step down in return for a “golden retirement” in Morocco. However, the Moroccan government refused to comment on the mediation when contacted by the AFP. Relations between Morocco and Gambia, which King Mohammed VI visited in 2006, are good. Gambia, a small country sandwiched in Senegal, has been plunged into political turmoil since Jammeh disputed president-elect Adama Barrow’s December election victory and refused to cede power. Jammeh, who has ruled Gambia for 22 years and was seeking re-election, first conceded defeat but then backtracked, calling for a re-vote. Several countries including Nigeria failed in convincing Jammeh to step down. Leaders from a regional bloc known as the Economic Community of West African States (ECOWAS) travelled to Gambia to strike a deal with the president to make him leave power, but their attempt failed. Jammeh challenged the ECOWAS mediation and threatened to wage war against the organization, which suggested military intervention to dislodge him. On the eve of the inauguration of his challenger, Adama Barrow, President Yahya Jammeh declared a state of emergency saying he would not step down before a court hears his election challenge. Meanwhile, state television reported that the Gambian National Assembly passed a resolution on Tuesday to allow President Jammeh to stay in office for three months, probably until the court issues its ruling.